Only twice in the history of the World Surf League (WSL) have Men’s World Championship Tour (WCT) surfers won back-to-back world titles; Kelly Slater and the late Andy Irons. Gabriel Medina hopes to become the third. On the women’s side, Stephanie Gilmore is chasing down history this year in her quest to equal fellow Australian Layne Beachley as the only professional women’s surfers to win seven world titles. In the first CT event of the year, the Men’s and Women’s World Championship Tours descend upon Australia’s Snapper Rocks for the Quiksilver Pro Gold Coast and the Roxy Pro Gold Coast, both events running from February 28 to March 11. 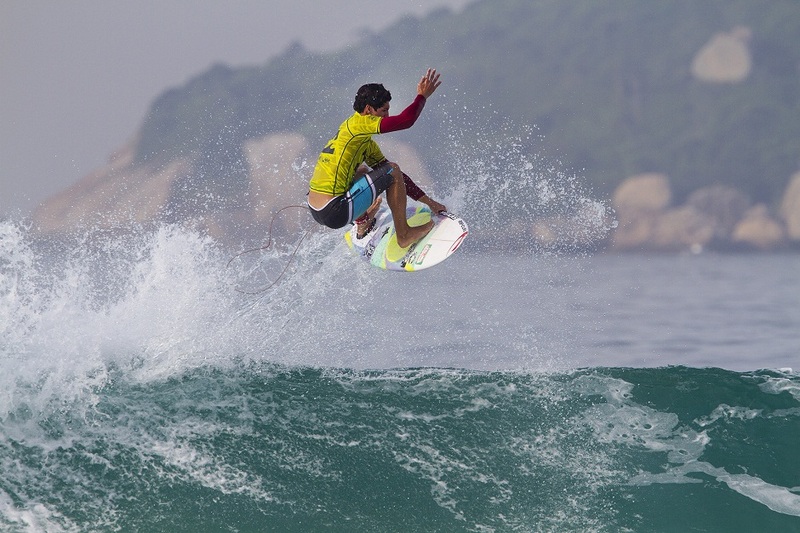 Gabriel Medina (BRA) begins his World Title defense here again at Snapper. Medina defeated Joel Parkinson (AUS) in last year’s contest and never looked back in claiming his first World Title. Defending the crown will likely be much more difficult for the young Brazilian as he begins the year against the likes of Mick Fanning (AUS), John John Florence (HAW), Kelly Slater (USA), Michel Bourez (PYF), last year’s event runner up Parkinson and Jordy Smith (ZAF). The rest of the Top 34 will be giving him their best shot in every heat. Gilmore won her sixth title last year and is atop the surfing world once again. She won the trophy at Snapper last year, fending off Bianca Buitendag of South Africa. Gilmore begins the year ranked Number One, ahead of Tyler Wright (AUS), Carissa Moore (HAW), Sally Fitzgibbons (AUS), Malia Manuel (HAW), Lakey Peterson (USA) and Buitendag. In all, the Women’s Top 17 is loaded with upset-minded surfers out to win, not just heats but to show they belong on the podium. According to Surfline.com, the Gold Coast will be awaiting Cyclone Marsha this weekend, potentially delivering five- to six-foot East/Southeast swell to the region through the weekend and the early part of the waiting period. Both the Quiksilver Pro Gold Coast and the Roxy Pro Gold Coast waiting periods run from February 28 to March 11. Click here for more details on the Quiksilver Pro Gold Coast and to watch the live webcast. Click here for more details on the Roxy Pro Gold Coast and to watch the live webcast.